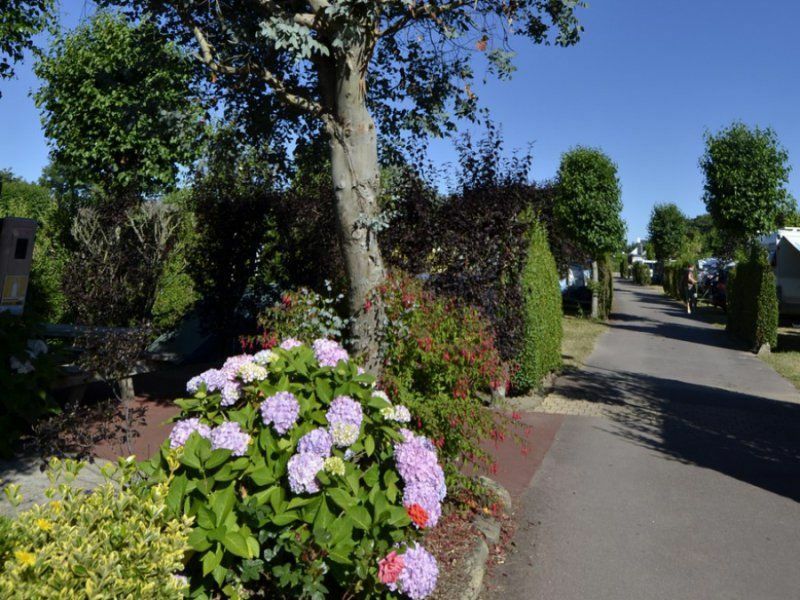 Right next to Kervillen beach, in a wooded and flowery park, we offer you comfortable camping pitches. 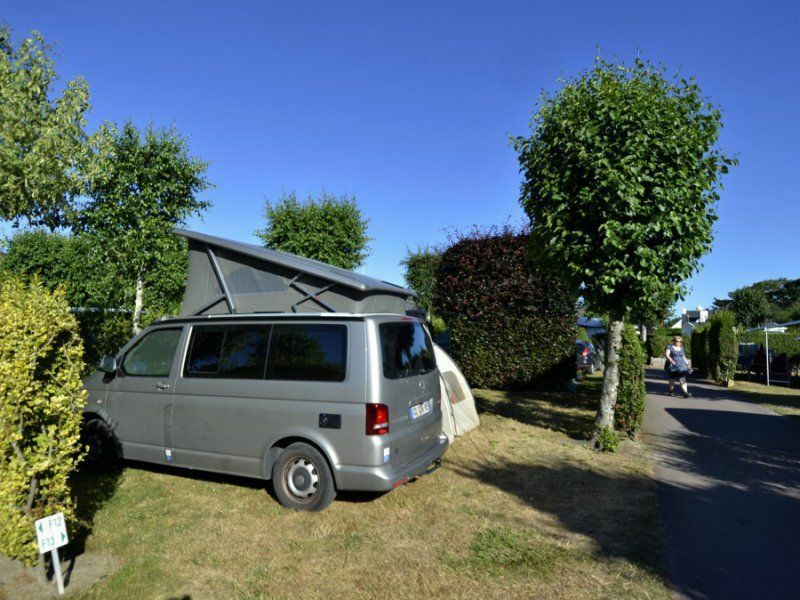 For your peace of mind, all campsites are bordered with hedges and trees. 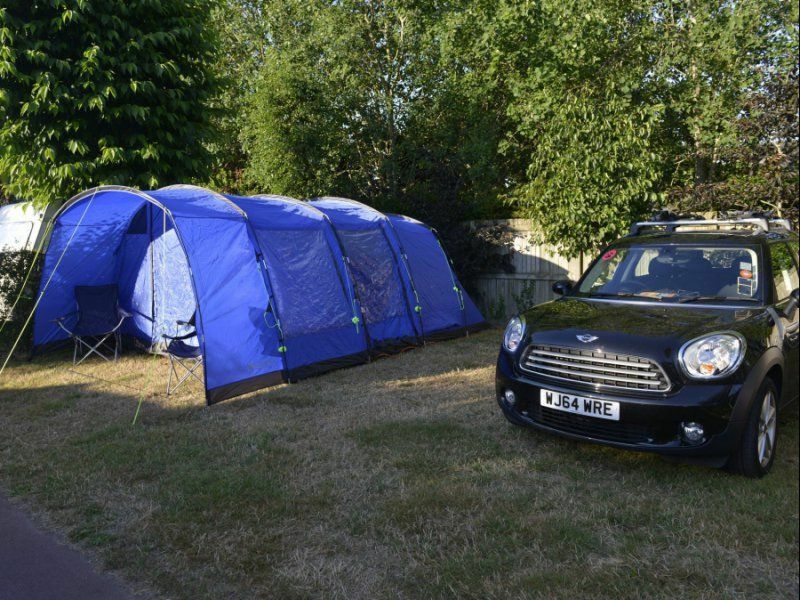 Those campsites for RVs, caravans and tents can accommodate up to 8 people. They are equipped with running water, drainage and electricity connections (electricity connection in extra). 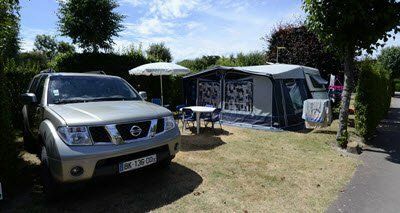 More modest campsites for tents and caravans are also available, as well as pitches for small tents. The maximum capacity is up to 6 people; they enjoy running water, drainage and electricity connections (in extra). You look for a pitch near the swimming pool and the beach ? 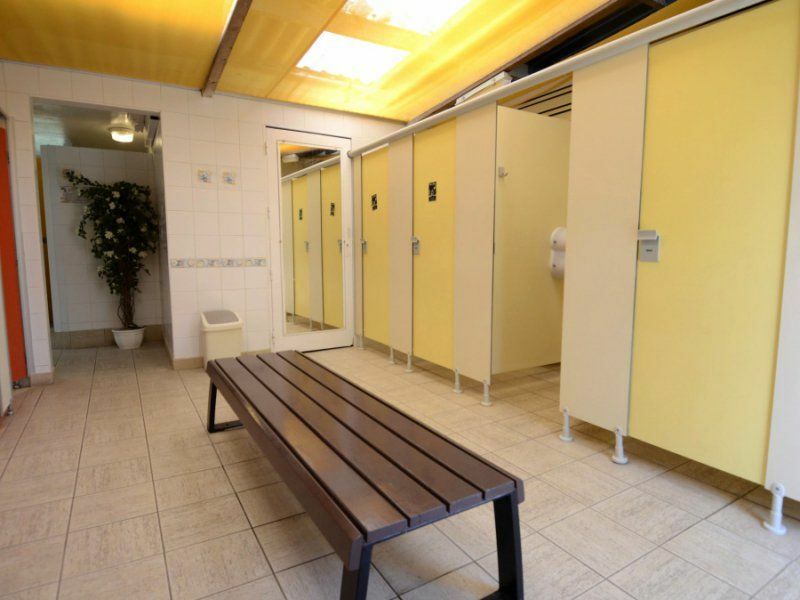 Prefer to install your caravan near a sanitary block ? Or set up your family tent close to the playground and facilities for children ? To choose your pitch in accordance with your preferences, download the campsite map ! 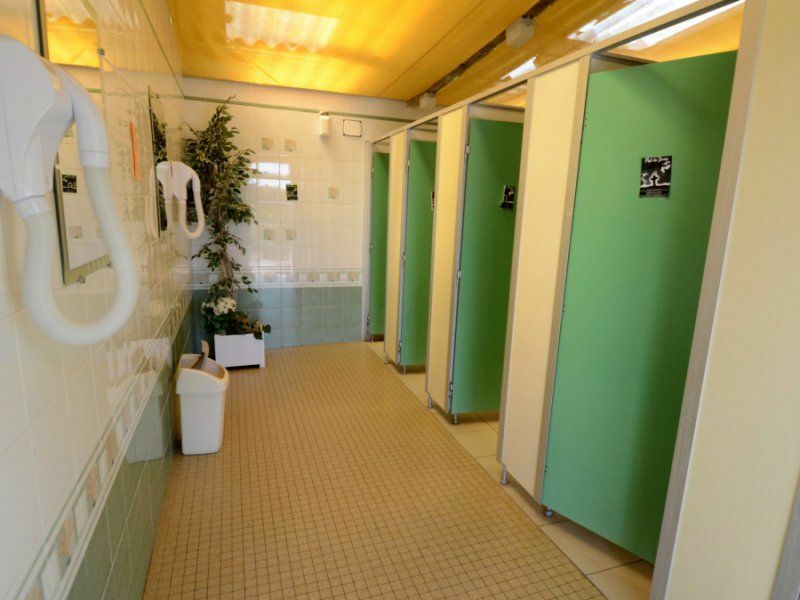 2 sanitary blocks are at your disposal: toilets, drains for chemical toilets, sinks, dish pans, laundry baskets, hair dryers, baby changing area with baby bath, toilet for children, areas for people with limited mobility. Finally, there is a laundry room with 3 washing machines, 3 drying machines, irons and ironing boards.